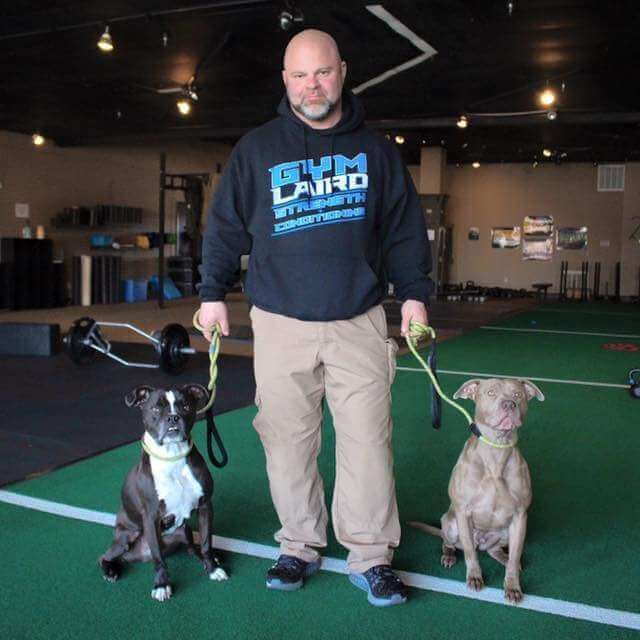 Jim Laird is the owner of Gym Laird Strength and Conditioning, and has worked as a Strength and Conditioning Coach helping clients achieve their goals since 1997. Jim has 4 years of Division One coaching experience and over a decade of working with clients in the private sector. But perhaps most importantly, Jim has worked with everyone from housewives who just want to look and feel good, to professional athletes in the NFL, LPGA, and MLB. He has helped dozens of young athletes achieve athletic scholarships to Division 1 schools and also trains a team of female Powerlifters, The Miss Fits. In this show, Jim and I talk about his long and winding journey as a trainer and coach, how he gets great results with his clients only lifting twice per week, and how a self-described caveman that looks like a fire hydrant now runs a gym that trains 95% women. Jim has a ton of not only training but life experience, and I sincerely hope you enjoy the show. What originally led Jim to the world of physical preparation. The extremes he took himself to as a powerlifter, and how it influenced his thinking today. How those extremes have helped shape and mold his current business model. The difference between performance and health, and what Jim feels his clients really want. How “a caveman that looks like a fire hydrant” has built a business that caters to 95% women. How his powerlifting career has influenced how he trains his females powerlifters today. A fun lightning round where we pontificate on the benefits of being a T-Rex, the most impactful book he’s read in the past year, and the one piece of advice he’d give to an up-and-coming trainer or coach. When I started working with Jim two months ago, he was very frustrated. He could not walk without a walker, needed assistance getting in and out of a chair, and was unable to get up and down off the floor. Jim also has Parkinson’s. In a very short time, Jim has made dramatic improvements. His first session was no more than 10 minutes and most of that time was spent talking about what I wanted him to do on his own everyday. In the gym, we focused on simple floor work (so simple that you might be skeptical). Each week we would build on his progress and add a new or different challenge. After two months of consistent daily exercises at home (5-10 minutes) and a couple twenty minute sessions each week with me, Jim can now stand up and sit down for multiple sets of 10 WITHOUT assistance. He can also get up and down off the floor and walk across the room. Today, he pushed the prowler for the first time. If you know anyone like Jim who is struggling please share this story. If they are willing to humbly start where they are AND be consistent, their quality of life can improve. I’m very proud of Jim and his consistency and willingness to challenge himself I am very lucky to be able to work with such and individual.